From A to Z - So Many Things To Do In Virginia around Natural Bridge and vicinity! Things to do in Virginia, especially this area of Natural Bridge, Lexington, Buena Vista and Raphine vary from Lexington's Haunting Tales and Ghost Tour to having a glass of wine at The Lexington Valley Vineyard's Wine and Wags event held the 2nd Friday of every month! Bring your dog and take a stroll around the vineyard! Experience this part of Virginia from A to Z! 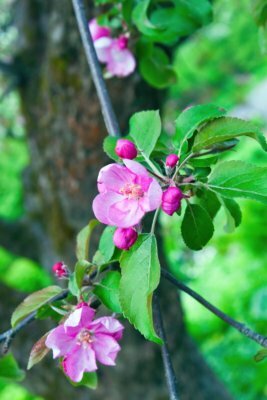 Visit one of the most delicious orchards - Johnson's Orchard over in Bedford!! live butterfly garden at Natural Bridge. Admission to the Bridge includes the butterfly exhibit. 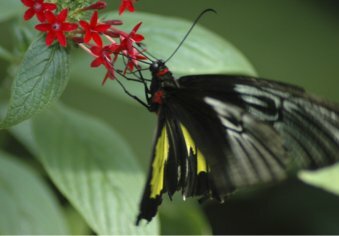 Discover the facts about butterflies. Open March through November.This is one of my favorite things to do in Virginia! I love butterflies! C... is for Camping in Virginia, Civil War Battlefields, Corn Maze or the Caverns at Natural Bridge! Lots of camping is available in this area of Natural Bridge, Lexington, Buena Vista and Raphine! From tent camping at Yogi Bear Campground to luxurious romantic cabins that are available for your camping pleasure. Explore the Civil War Battlefields and see where history was made. Want to see a real corn maze? Check back for info on the exact location when it gets closer to the Fall for the Halloween Corn Maze. In past years Scarecrows were hidden in the maze and prizes were given if you found 10 of them. On a hot summer day one of the best things to do in Virginia is to see the Caverns at Natural Bridge! Take a jacket because it stays a constant 54 degrees down there. Also be sure to wear sneakers or any other good walking shoes. D... is for Dogs or Dirt Track Racing at Natural Bridge Speedway! Many of the tourist attractions and lodgings allow you to bring your dogs with you! Check out our Dog Friendly Lodging Page! Do you like Dirt Track Racing? Check out the Natural Bridge Speedway! Take a ride on an elephant at the Natural Bridge Zoo! Be sure to see the pictures I took of a daddy riding with his baby on top of a huge elephant. So cute! Do you know what this is? A really fun thing for families or anyone to do! Check it out here - What is Geocache? 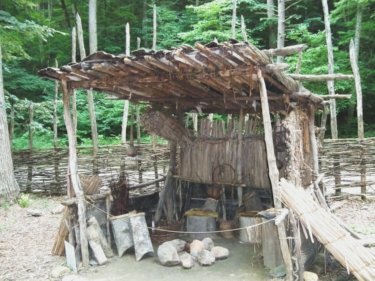 Native American Village at Natural Bridge VA! J... is for the Jefferson National Forest or for Jellystone Campground! K... is for Kinds of Butterflies. 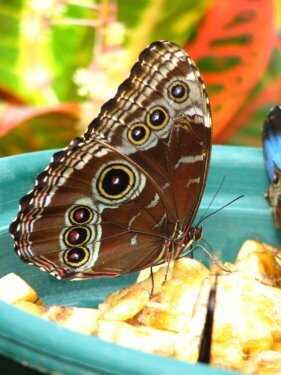 See the Indoor, Live Butterfly Garden at Natural Bridge VA! Letter Boxing or Lexington Horse Center! 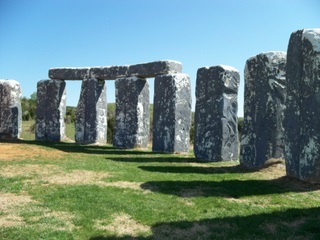 M... is for Mark Cline, the creator of Foamhenge and more! What are Your Favorite Things to do in Virginia in the Natural Bridge, Lexington, Buena Vista, Raphine area? What great story do you have about this area? Are you a visitor or do you live here? Share it!